Guernsey boss Jordan Reynolds says his players need to be more responsible for their individual performances. Reynolds spoke after they ended a run of three straight defeats in National Three London South East on Saturday with a 22-17 win over Gravesend. 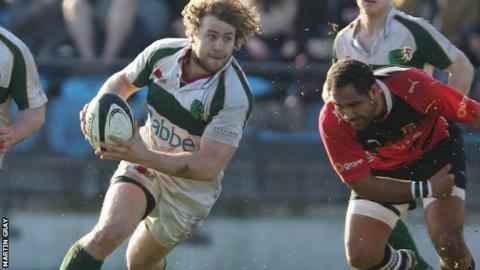 "I try to reiterate to the players it's not going to be the team that changes things, it's going to be individuals," he told BBC Guernsey. "That's them, they have to make it happen instead of waiting for others." I think we've just got to rebuild and not worry so much about the results, but the performances. He continued: "I think I do get stuck with the 'hard man to please' tag, but from my perspective, we've got to be striving to be our best. "If we are only putting in 40 minutes, we are not doing our best, and I wouldn't be doing my job if I wasn't trying to push them as far as I can." Reynolds' side currently lie eighth in the 14-team division, following back-to-back promotions, and he believes that his side are finding it hard to adapt to the tougher league. "We've been winning for the last two years, and we've probably got comfortable with that," Reynolds commented. "This year has been a lot tougher for us. "I think we've just got to rebuild and not worry so much about the results, but the performances."